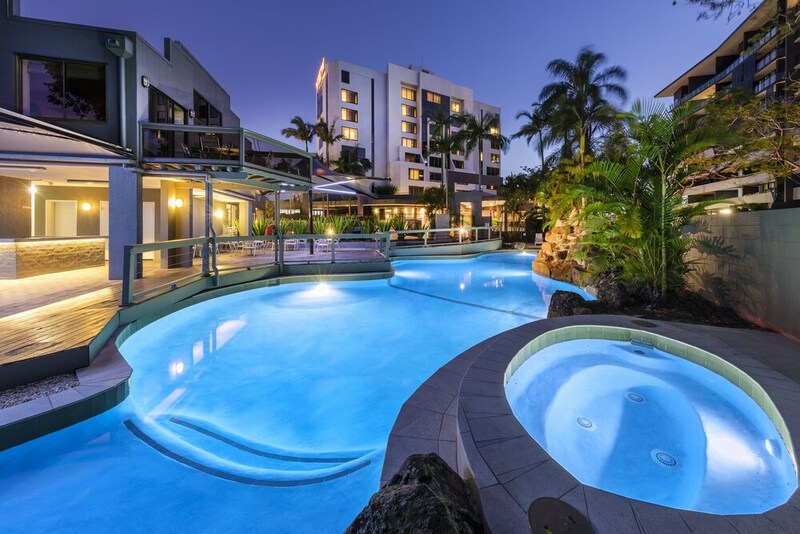 Located in Hamilton, Brisbane Riverview Hotel is on the waterfront, within a 10-minute drive of Brisbane Cruise Terminal and Doomben Racecourse. This 4.5-star hotel is 1.7 mi (2.7 km) from RNA Showgrounds and 1.9 mi (3.1 km) from Tivoli. Make yourself at home in one of the 90 air-conditioned rooms featuring refrigerators and iPod docking stations. Complimentary wired and wireless Internet access keeps you connected, and cable programming provides entertainment. Private bathrooms have designer toiletries and hair dryers. Conveniences include phones, as well as safes and desks. Don't miss out on the many recreational opportunities, including an outdoor pool, a spa tub, and a sauna. This hotel also features complimentary wireless Internet access, concierge services, and babysitting/childcare (surcharge). Grab a bite to eat at Plates Restaurant, a restaurant which features a bar, or stay in and take advantage of the 24-hour room service. Buffet breakfasts are available daily from 6 AM to 10 AM for a fee. Plates Restaurant - This restaurant serves breakfast and dinner. Guests can enjoy drinks at the bar. Happy hour is offered. Open daily.